There is a growing market in the traditional building sector for skylights and roof lanterns. By 1809, when Thomas Jefferson left the presidency and retired from public life, he had largely completed the extensive remodeling of his home, Monticello. A skilled architect and designer in his time, Jefferson had maximized the amount of natural lighting in the house by incorporating more than a dozen skylights, from the dining room to the oculus in the dome room; on the third floor, the bedrooms are lit exclusively by skylights. Today, few homeowners are as skylight-happy as the third U.S. President was, but they nevertheless have come to prize these specialized windows, both as sources of light and for the views they provide. And when a skylight is operational and can be opened (as at Monticello), its usefulness extends to include ventilation and even emergency egress. Initially wood framed, skylights became even more popular in metal constructions with the ubiquity of sheet-metal shops during the Victorian era, and virtually every urban rowhouse of the late-19th and early-20th centuries relied upon a metal skylight to illuminate its enclosed stairwell. More elaborate dwellings of the era showed a fondness for the roof lantern, in which the humble ceiling-window design of the skylight is elaborated into a miniature wood-framed conservatory roof. Supplying both modes of overhead fenestration, whether framed in wood or metal, has become a thriving industry in recent years. By the same token, the call for the restoration of these items has diminished. Peter Hosmer, owner of Charles River Restoration, Inc., in Hopkinton, MA, explains: "In many cases, skylights are beyond repair. It&apos;s also cost-prohibitive, and so repairing a skylight tends to be a very trivial and short-term solution. It&apos;s mainly replicating that we&apos;re called to do, for at least 50 percent of all our clients." For most other professionals, the demand for the restoration or replication of a vintage skylight or roof lantern is negligible. "Most of our work is new construction," notes Mark Barocco, co-founder of Renaissance Conservatories in Leola, PA. "I would say probably 10 to 20 percent is to replicate or restore." Robert Baird, co-founder of Historical Arts & Casting, Inc., in West Jordan, UT, agrees. "We&apos;re doing more new custom skylights than restoring historical ones,” he says. “A lot of the skylights we make are just flat, but we also do a lot of them that are concave, which involve fairly substantial metalwork in getting glass bent and laminated. Our skylights look antique when they&apos;re done, but they&apos;re all brand new and use all new materials." The change in construction materials underlies the greater demand for new construction. Alan Stein, co-founder of Denton, MD-based Tanglewood Conservatories, Ltd., acknowledges that his firm, like Baird’s, works "more in the way of new design. Traditional skylights and roof lanterns were very different from the ones that are being built today, because the technology is different. In New York City, for example, the skylights or roof lanterns were usually made out of sheet metal, bent into little structural shapes and then cut to size and soldered together. They weren&apos;t structural steel or wood, and they weren’t built in the way that we build them today." 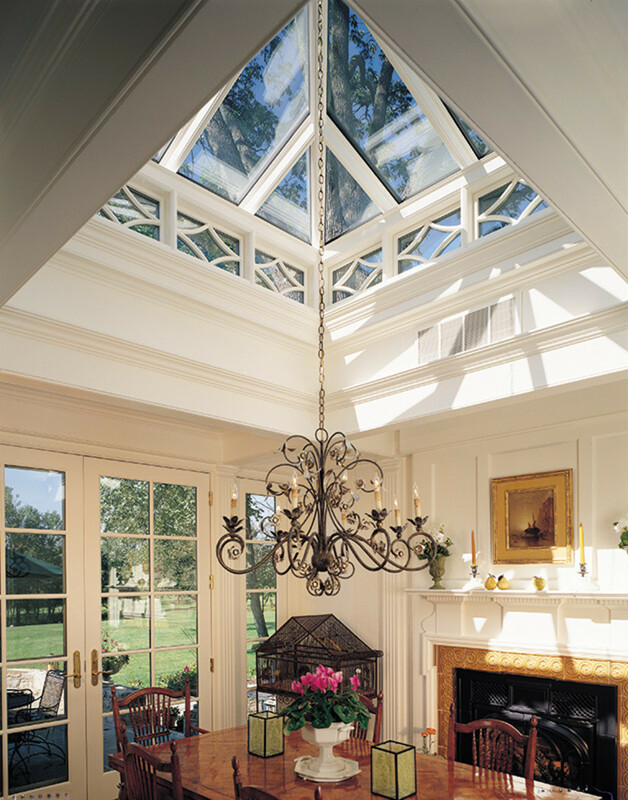 About 70 percent of skylights and roof lanterns from Tanglewood Conservatories are made in wood, mainly mahogany, while the remainder are manufactured in cast iron, steel and aluminum. Charles River Restoration’s approach differs here, but only up to a point: "Pretty much everything that we do is along historical lines,” says Hosmer. “We construct skylights in basically the same way that they were made a hundred years ago. The biggest difference or improvement is in the glass. In our fabrications for residences in which the owners request a traditional look, we use double-pane, insulated glass. Years ago, single-pane glass was all they used." According to Stein, "In the past, wire glass, which was always single-glazed, was the only kind of safety glass that was really available: The wire inside the glass held it together and prevented it from falling on your head and killing you, were it to break for any reason." Barocco adds, "In just about every instance, people now want a type of glass that reflects the latest technology for energy efficiency, to keep the summer heat out and keep the space warm during the winter." Only the specialized, non-operational skylights from Historical Arts & Casting remain largely indifferent to glazing innovations. "Most of the skylights that we&apos;re building are usually fixed," explains Baird. "They have some type of art or restoration glass in them, and typically will be in an interior space with an exterior skylight over them." Historical Arts is also fairly unique when it comes to the types of houses on which it works: "Most of the things we&apos;re doing now are in &apos;new old&apos; houses, built in a traditional style," says Baird. 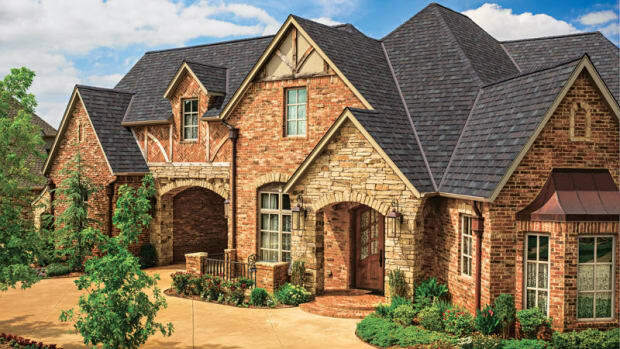 The other professionals surveyed find that the market for new skylights is split pretty much fifty-fifty between historic houses and new construction in traditional styles. Where these professionals diverge most strongly is in their involvement with roof lanterns. Stein finds the demand for skylights and roof lanterns runs about "half and half. 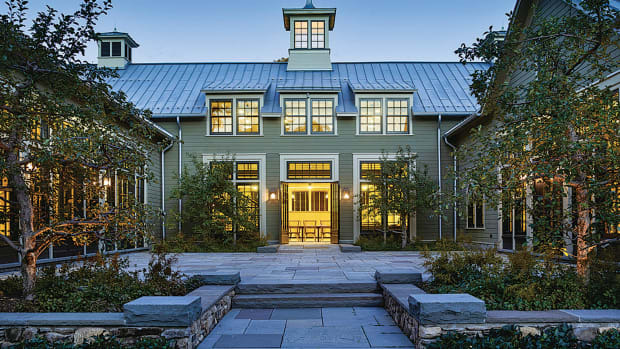 I think Tanglewood is different than probably a lot of firms in this line of work in that our roots are much more grounded in architecture and building construction. I&apos;m an architect and I was also a building contractor, and so when we look at a project we&apos;re not thinking, &apos;Okay, what part of a conservatory can we use to solve this problem?&apos; We say, &apos;Okay, here&apos;s an issue: How are we going to solve it, architecturally and in terms of building technology?&apos; Sometimes it&apos;s the top of a conservatory, so to speak, but sometimes it&apos;s not; sometimes it&apos;s a really innovative type of sloped glazing work. Because we&apos;re not limited to making conservatories or conservatory-like things, we can come up with whole new glazing systems." Seeing as how roof lanterns evolved from the design of wood-framed orangeries and conservatories, the conservatory manufacturers are approached to supply roof lanterns with greater frequency than are the firms that work in metal. Skylight-specialist Hosmer asserts, "We tend to get mixed in mistakenly with conservatory companies because there aren’t really that many historic-skylight companies out there. 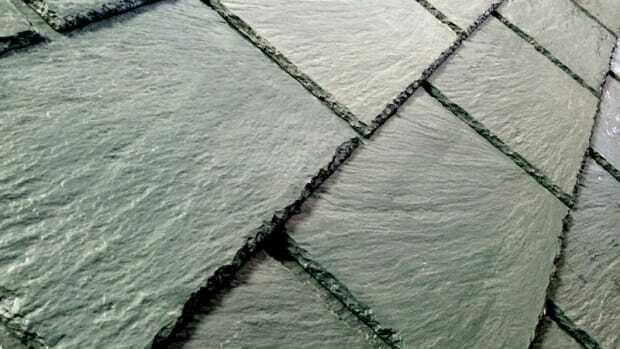 But we don&apos;t get into wood construction; we&apos;re just metal-framed skylights – mostly in copper, but there&apos;s also lead-coated copper, the new zinc-coated copper and terne-coated stainless." "We have done some lanterns but there&apos;s not a big call for that kind of thing," notes Baird, whose firm supplies skylights in bronze and aluminum – and aluminum as bronze. "I have a skylight that&apos;s being built in my shop right now that is about 5x8 ft.,” he says. 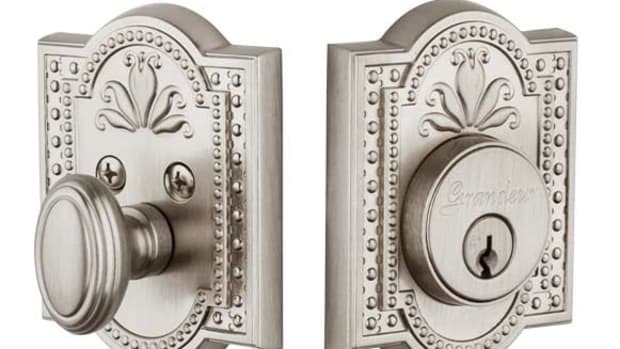 “It&apos;s aluminum but it&apos;ll have a painted faux finish to look like bronze. Quite honestly, you can&apos;t tell the difference when they&apos;re up on the ceiling." The roof-lantern market is quite different for the experts in conservatory building. "We&apos;re not just a conservatory company," asserts Barocco. "Renaissance Conservatories is very diverse in its products, and people are discovering lanterns. We started off with very few lanterns and mostly skylights, but now I would say it&apos;s probably fifty-fifty. People want the look, feel and character of a conservatory, but they may be limited in what they can do in the vertical façade, or in terms of the cost. So I&apos;ll say to them, &apos;Why don&apos;t you consider more of a conventionally built structure, where you can use mass-produced window and doors, and let your builder construct the greater portion of that; then you can come to Renaissance and ask us to do just an area skylight or perhaps a beautiful lantern?&apos; And they discover that they can put something of architectural significance on their roof, which becomes a jewel, a beautiful piece to behold.” Renaissance Conservatories offers wood-framed skylights, made of Honduras mahogany, cedro, jatoba and western red cedar. “I&apos;ve also built them out of cypress and teak,” adds Barocco. 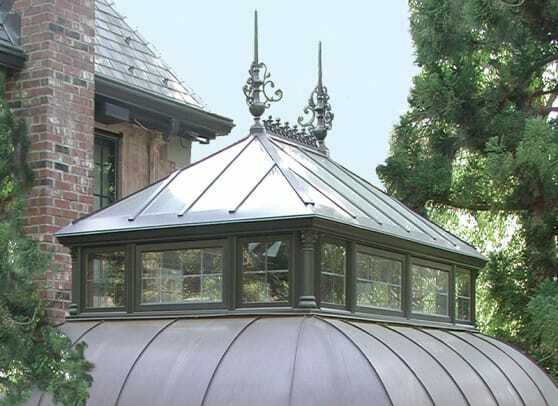 “But we embellish the lanterns and skylights with decorative finial posts and ridge cresting in lead-coated copper, cast bronze, cast aluminum or water-jet-cut aluminum." If the current market trends for skylights and roof lanterns continue to grow, architects who design in traditional styles may well find themselves out-skylighting Monticello! In the meantime, the elegance, warmth and illumination of overhead natural lighting, from the most ornate of roof lanterns to the simplest ceiling-window skylights, will continue to play an essential role in American architecture and domestic life.